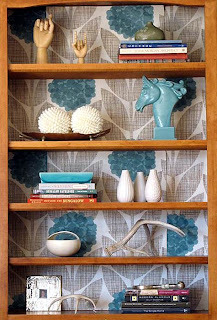 I doubt many people have ever thought about a wallpaper pattern more than I have. I was really close to scrapping the whole idea and just painting my dining area wall so I wouldn't have to decide at all. 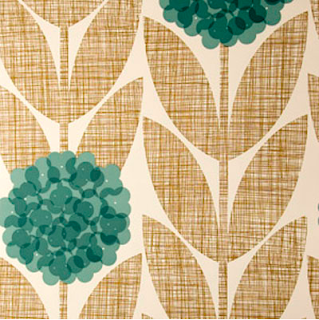 The wallpaper is called Flower Blossom by Orla Kiely and it's still available online. The hitch in my plan is that it's $95 per roll and I'll probably need two of them. And I have to convince N that it's not weird. Here goes nothing! I LOVE it!! Go for it for sure! Do it!!! That wallpaper is divine, and I love Orla Kiely. I can't tell you how many times my DH has said "hell no" to some decor idea I had for our house... only to instantly fall in love with it once I finally put it in place. Seeing is believing for a lot of men I think.